When EPCOT opened on October 1, 1982, Walt Disney World was a much different place than the giant Orlando resort that exists today. The land owned by Disney included more than 27,000 acres, but only a small part was being used for guest areas. The Magic Kingdom had opened 11 years earlier, and the destination included several impressive resorts along with a water park and campsite. It was very popular, but the idea of building a second gate was still a risky proposition. Instead of simply copying their earlier efforts, Disney took a different approach and built a theme park that remains completely unique today. To honor this anniversary, I'm stepping away from my normal blog topics to highlight what's arguably the most original creation in the history of the amusement industry. Thirty years later, I'm looking back at an incredible place that remains one of my favorite spots in existence. I first visited EPCOT in the summer of 1984 at the age of eight, and I fell in love with the place. Even though some of my favorite rides are gone, the experience hasn't dissipated over the years. Modeled partially after the famous World's Fairs of the 1960s in New York and Montreal, EPCOT combines an optimistic look at the future with intricate displays of countries around the world. Given the difficulties involved with creating such an ambitious park, the ultimate success was remarkable. It has an unfair reputation as being "boring", and Disney has worked to modify the park to make it more exciting. I've never thought that the changes were needed, but I understand why they've occurred. EPCOT is one of the few places I could visit and not do any attractions. 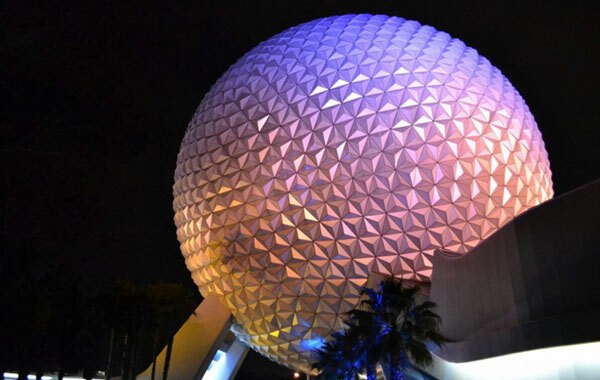 The grand and stunning structures like Spaceship Earth look even better at night and create an atmosphere that's never been duplicated. When you add in the diverse food and drink options from across the globe in World Showcase, the result is a must-see destination. The original EPCOT ideas were presented by Walt Disney himself in a film recorded in 1966 just two months before his death. His vision was much different than what the company ended up building 16 years later. Walt wanted to build a city of the future that used the latest technologies to change how cities functioned. It was an ambitious and expensive project that could have failed spectacularly, but skeptics thought the same thing about Disneyland in 1955. It would have been interesting to see what would have happened if he'd lived to see the "Florida Project" come to life. 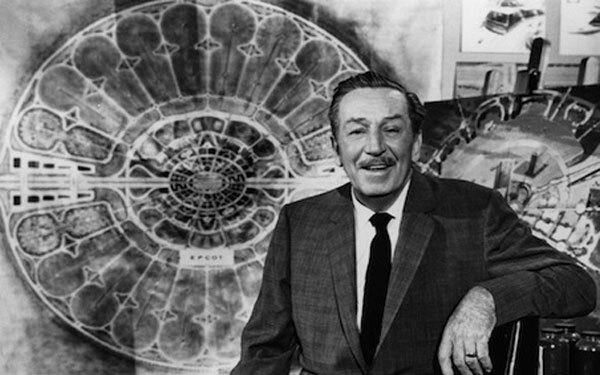 Walt knew that the Magic Kingdom was necessary for the site to function, but he was a lot more interested in EPCOT. Sam Gennawey's remarkable book Walt and the Promise of Progress City provides an in-depth look at his plans and whether they could have worked. It's a fascinating read if you're interested in urban planning or Disney history. When the company decided to tackle EPCOT, they tried to incorporate Walt's vision while making sure it would also generate profits. It was a tricky balance that didn't work for everyone, but I think it's a great combination. Looking beyond the history, the EPCOT of the 1980s had a group of dark rides that incorporated the latest robot technology known as audio-animatronics. The centerpiece was Spaceship Earth, which chronicled the history of communication as you rode inside the giant sphere. This ride has gone through various incarnations, but it retains its original style to this day. 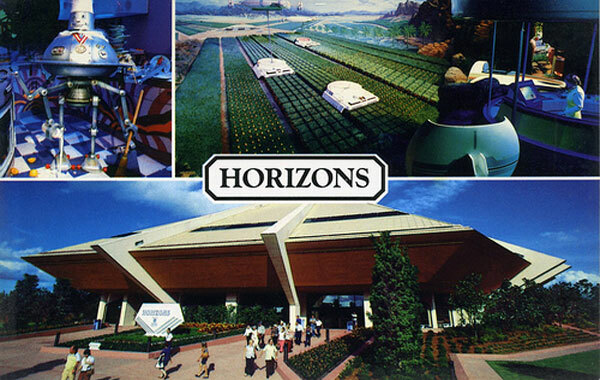 My personal favorite was Horizons, a fun look at visions of the future in the past and looking ahead. Its centerpiece was a giant pair of Omnimax screens that would remain impressive today. It ended with the novelty of getting to choose your route back to Earth. A different point-of-view video would play in front of you depicting space, sea, or desert; this fun device foreshadowed the interactive rides of today. Sitting next to Horizons in a wheel-shaped building was World of Motion, a light-hearted look at the history of transportation. Both of these rides have been replaced by more thrilling attractions. The newer rides are good fun, but they lack the same connection that I'd developed with the earlier ones. I could spend a long time raving about each attraction, but that territory has been covered by many writers. There are plenty of people with similar stories; they visited EPCOT as a kid and haven't been able to shake the experience. Even when Disney makes questionable moves like adding characters from Finding Nemo to its Living Seas pavilion, the park continues to thrive. The grand structures still have plenty to offer, even with diminished results. That location is a massive aquarium with all types of marine animals, despite the influx of movie characters. Even marketing gurus can't eliminate the park's original aura. While these comments might feel silly, it's hard to explain just how effective it remains. I love strolling among the futuristic structures at night while the area music plays. 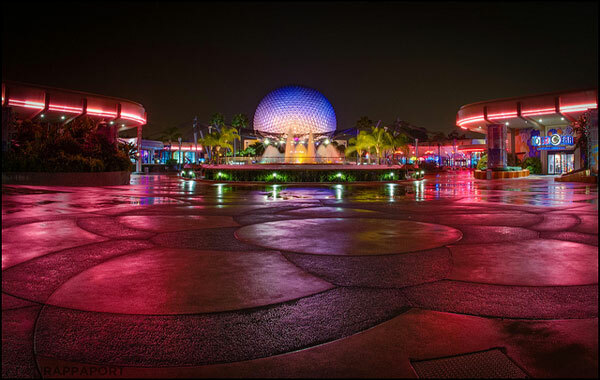 With some minor tweaks to a few attractions, EPCOT could return to its former glory. The engineering involved with its construction was a remarkable achievement. Steve Alcorn and David Green chronicle the massive undertaking in Building a Better Mouse, an intriguing book that explains the insane amount of work necessary to meet the opening date. I've barely mentioned World Showcase, but there's plenty to enjoy there. As a kid, I wasn't as excited about this section since it mostly involved shopping areas. There are a few rides and some impressive movies, but it's more of an adult environment. My perception has completely changed over the years due to two factors: interesting cuisine and beer. While the prices are high, the different countries offer food and drinks from all over the world. I understand this area is easily derided for its cookie-cutter takes on international culture. Disney fans even utter ridiculous statements like "We don't need to travel abroad; we can just go to EPCOT!" 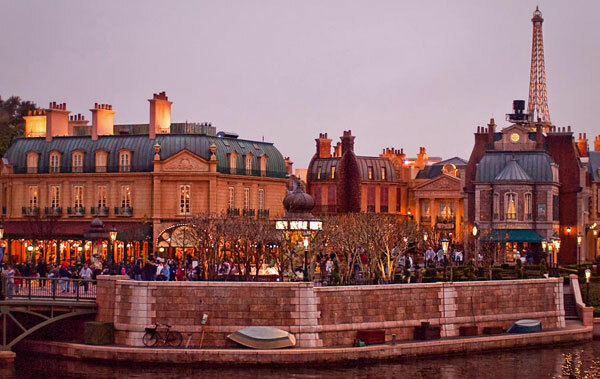 Even so, World Showcase has a cool atmosphere and is a great place for adults to take it easy. Unlike the Magic Kingdom, you can avoid the logjams of screaming kids. I'm a parent but still try to avoid getting stuck in that type of crowd. It might not seem like a place for her, but my three-year-old loved World Showcase because there's so much to see. The highlights for me include the indoor Mexico pavilion (with a tequilla bar! ), the lush and quiet gardens of Japan, and the intricate details in France. It's easy to dismiss EPCOT for its idealistic view on the future and simplified cultural offerings. If you look a bit further, it remains one of the most stunning creations in theme park history. The fact that Disney spent around a billion dollars in the early '80s to create a place not geared towards kids is remarkable. My feelings are stronger because of nostalgia, but that doesn't lessen the achievement. It's been disappointing to watch Disney let certain rides go or replace them with inferior experiences. That said, I have a feeling there may be a shift in the works. The company is facing serious competition from Universal and doesn't seem willing to compete with them on thrill rides. What better place to offer counter-programming than EPCOT? It remains popular and should continue to inspire younger visitors like it did for me nearly 30 years ago. Let the nostalgia continue Dan! Love this article. Brings back so many happy memories. Although I never visited Epcot as a young child (my first visit was as a 15 or 16-year-old), it is my favorite of the Disney theme parks in Florida. Perhaps it is because I'm not a daredevil theme park rider and prefer the simpler attractions but Epcot always fascinated me. That said, I do love the rides too - the crash test ride (and the whole interior set while waiting in line) is one of my favorite things about the entire Disney theme park experience. Dan, it's great to hear that you're a fan of EPCOT. Test Track is an awesome ride, and you're right that the line is very well-done. They're actually doing a big makeover of that attraction, so I wonder how much it will change. Thanks! the EPCOT, in what year started? 1955 for real? EPCOT was built in the late '70s and opened in 1982. Disneyland opened in 1955; maybe that is why you have that year on the mind?